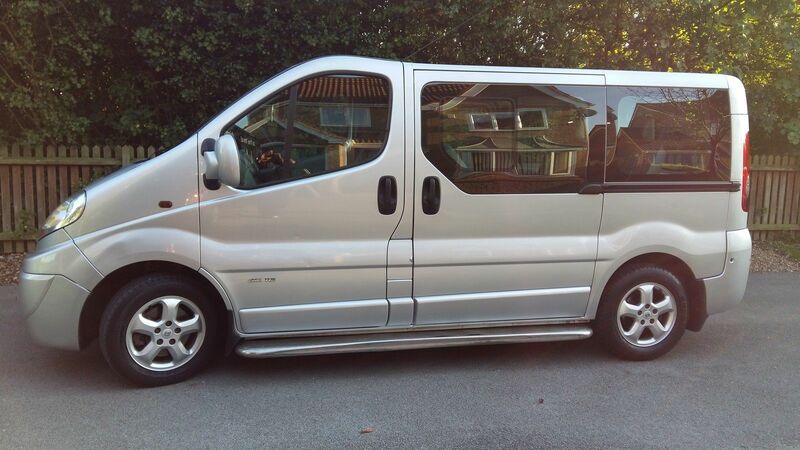 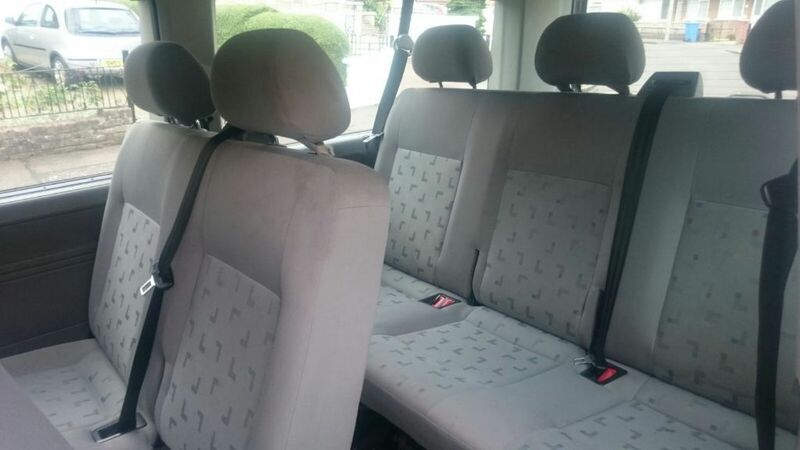 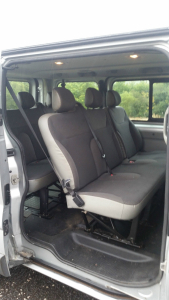 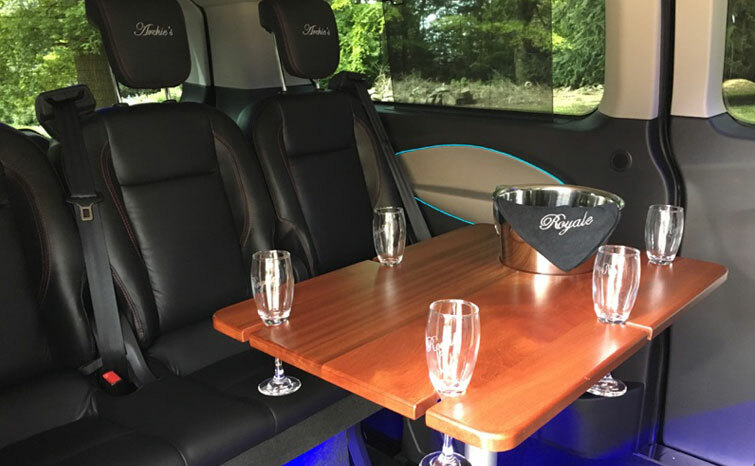 •Daily hire rate is based on 8 hours and up to 100 miles of £260 for executive 8 seater, Luxury version of 8 seater and 16 seater is £380 per day …wedding car rates are fully inclusive, up to 4 hours, 60 miles, available for wedding hire from only £150. 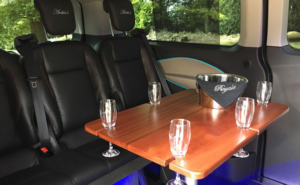 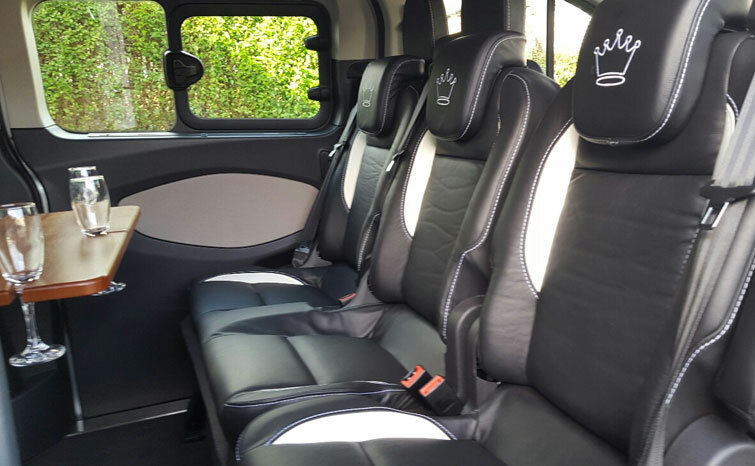 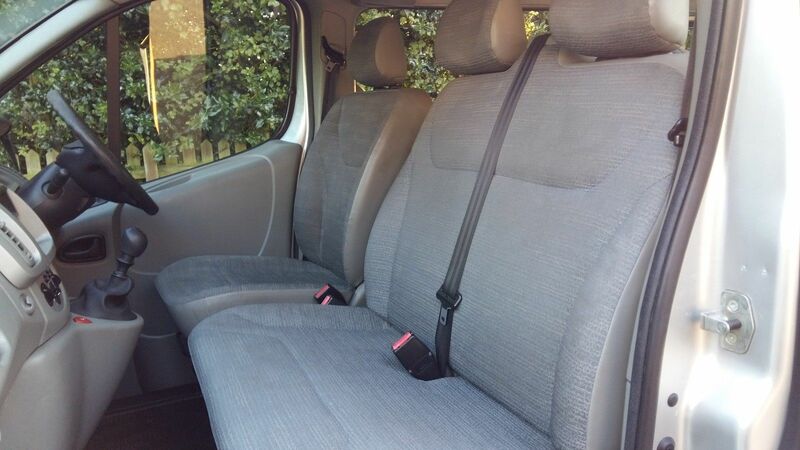 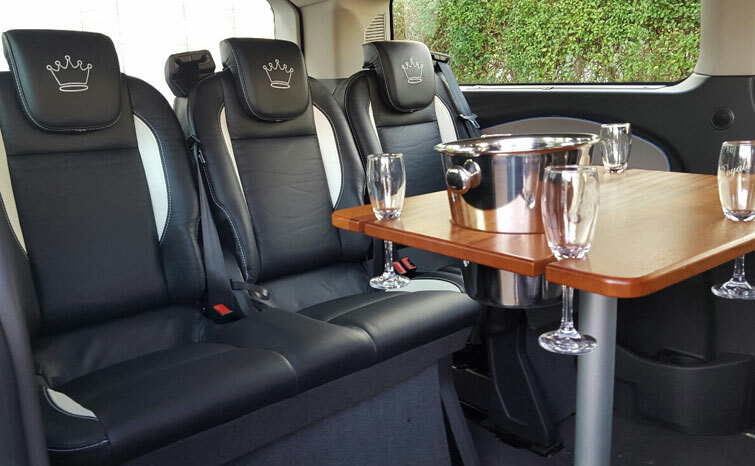 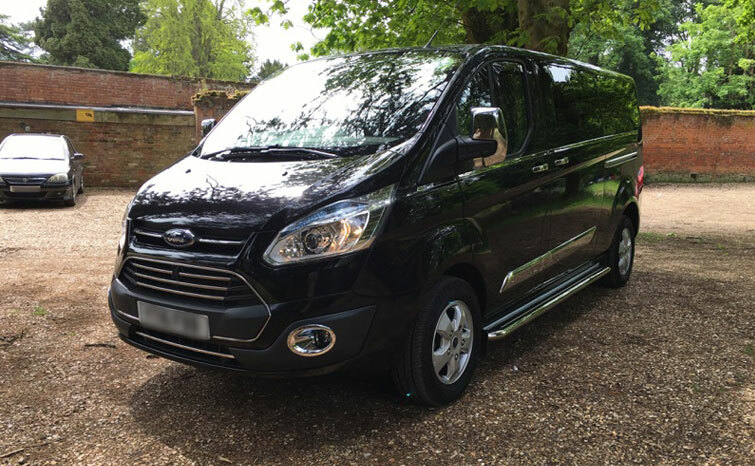 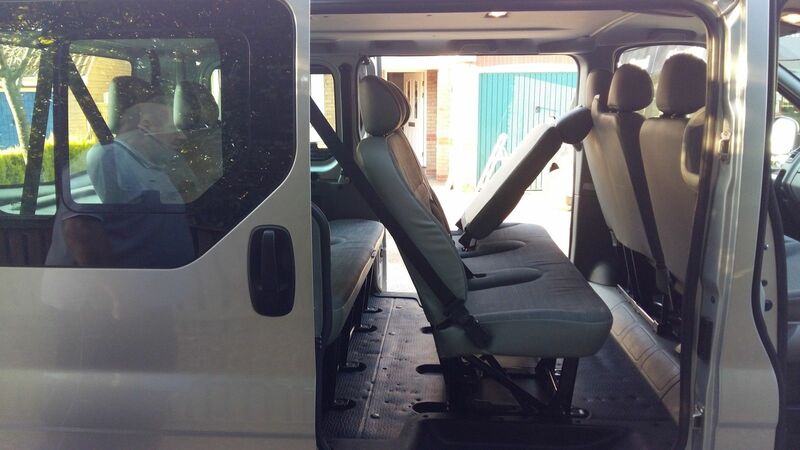 Our MPV accommodates up to 8 passengers and with our flexible tariffs ensuring your car and chauffeur are available for hire by the hour, the journey or by the day! 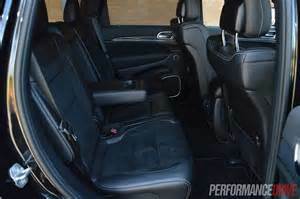 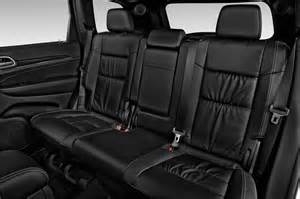 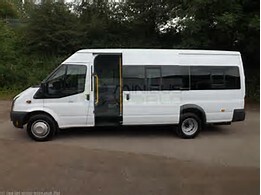 Tel 0141 404 0437 for all Chauffeur and 8 seater minibus hires or mobile 0774 040 3574 you can even text us your hire requirements for an instant quote back Get A Quote. 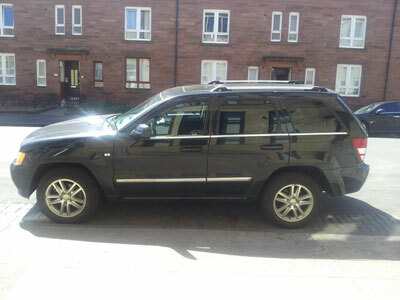 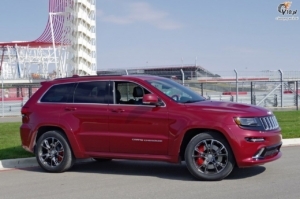 For Larger Vehicles CallGet A Quote.